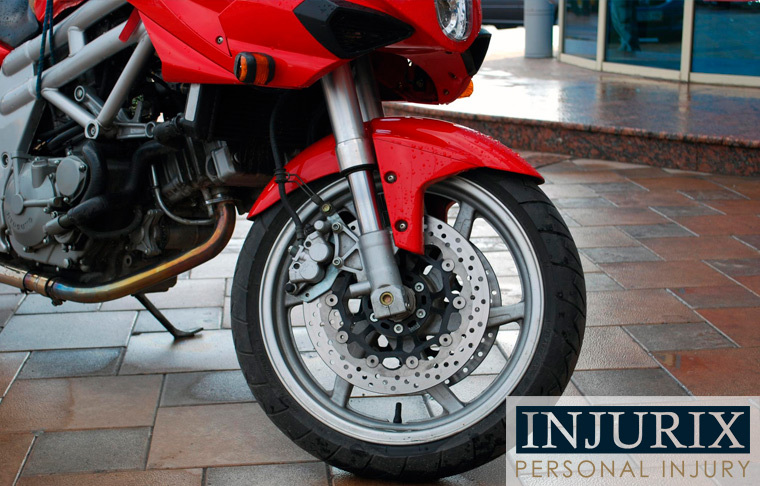 The injuries suffered in a motorcycle accident are usually more serious than those in a car accident. There’s more protection for the driver of a vehicle than the rider of a motorcycle. That means medical damages are higher. But in spite of this, courtroom results suggest a motorcycle accident case is harder to win than one where the injured was driving a car. There’s no legal reason for this to be. Negligence laws are no different for the driver who hits another car and the one who hits a motorcycle. But the interpretation of the law in concrete circumstances is subject to human bias, and in this case, that bias works against motorcycle riders. The members of a jury are certainly going to be automobile drivers and thereby have natural empathy for the defendant. They’re going to be able to easily identify with any issues the driver claims prevented them from seeing the motorcycle. It’s possible there will be motorcycle riders on the jury that will identify with the plaintiff. But they will surely be outnumbered. That plays a role not only in whether the motorcycle rider wins the case, but the amount of damages awarded. And, we should note, damage awards are also less in a motorcycle accident case than they are for car accidents. The motorcycle rider needs to get to a higher standard of proof—not by law, but as a point of practicality. That starts at the time of the accident. Make sure the driver of the car goes on record with their observations in the moment, when they might be more candid about their own role in the accident. Get statements from other drivers who witnessed the accident. Choose a lawyer who has skills in jury selection. This is an art unto itself and getting people who empathize with motorcycle riders—or at least give them a fair hearing—may decide your case before the first witness is called. Better yet, stay informed on the most common types of motorcycle accidents and how to avoid them.